I went for an incredible massage and for once I just turned my cell phone off. When I turned it back on I noticed that I missed a million calls from my house. I immediately called home to find out what’s going on. My husband told me that there was an accident and my mother was burned and taken to Johns Hopkins Bayview. I grabbed some food and flew to Bayview. My mother was still in the ER. She then relayed to me what hadbhappened. She turned on the burner of the stove to cook some food. 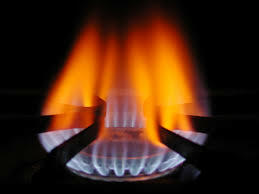 She was not aware that that burner was a rapid boil one and the flame extremely high. She stood next to the stove and before she knew it her shirt had caught on fire. She tried spraying it with water but it spread too fast. She tried undoing her buttons one by one but the flames were too overwhelming. She started screaming and my 14 year old came running. He too tried to undo the buttons, blistering his fingers but unable to. My mom started yelling at him to rip the shirt off of her, and that’s what he did. He called 911 as the burns to her upper arm and neck were pretty significant. He does not know that what he did probably saved her life. Just a side note: A few miracles occurred that day. She needed to stay in the hospital over Shabbat till she was stable and then they needed a skin graft surgery. Skin grafts need to be done in the first week of injury for best results. Mom wanted to fly home to South Africa to do the surgeries so she could recover in the comfort of her own home. Over the next few days my aunty came from New York to help me take care of Mom. We needed to wash, debride and change dressings twice a day. The process would take about an hour each. I am in the medical field but nothing can compare me for taking care of burn wounds. I found a cozy niche in the ultrasound field where I would never have to see any wounds or procedures because it was just too painful for me to see others in pain. Doing this for mom was heartbreaking, but when tragedy strikes we find strength we never knew we had. After we made flight adjustments and Mom returned home she had her first skin graft surgery. About 2 months later she needed a second one. After the second one she had another surgery to close the wounds that were not closing. If we could learn anything from this perhaps we could learn that life can change drastically in less than 1 minute. I also think it’s very important for all people to practice with all family members “stop, drop and roll” because if G-d forbid someone was on fire they would only be able to resort to it if they had acted it out a few times. In the heat of the moment it is very hard to think what needs to be done. I’d recommend today to practice “stop, drop and roll” with your loved ones and G-d willing no one you know will ever need it.